need not be for life! Don't let obesity ruin your life! I wanted to find answers to explain how I had managed to eat and starve myself to 330lbs. This is not a book written by a “thin” expert, but a “fat” expert who has lived through many years of obesity and ill-health and understands the emotional and physical barriers that prevent people taking the first step and then the next, and the next until they have regained their fitness and health. 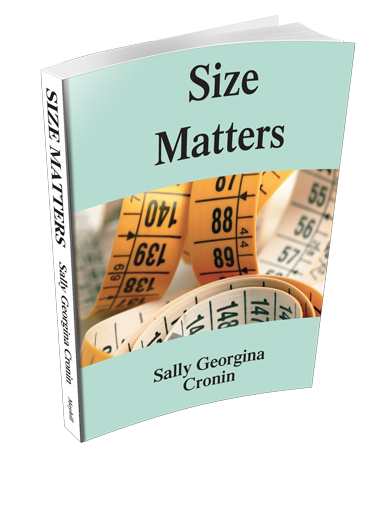 When you order Size Matters in e-book format we will also send you a link for a companion PDF file which holds the tables, checklists and templates that you will need when planning and implementing your own weight loss. In the PDF these are full size and easy to print.